There’s a fascinating connection between historical advancements in technology and how music has developed as an artform. The birth of new musical styles is usually linked to the creation of new instruments. Imagine 80’s pop without the DX7, acid house without the 303, or hip hop without the MPC. Despite countless examples of the importance of new instruments, the music world is hopelessly conservative when it comes to new ideas. For instance, there was a time when people said it will never be possible to make real music with computers, but today most tracks are produced on laptops. It’s strange how hard it can be to anticipate change, even as it’s happening right in front of us. Thanks to the enormous growth in mobile, there will soon be an order of magnitude more people with a personal computer compared to the number of PC users today. The shift to mobile is transforming everything from communicating and consuming media to shopping and playing games. The phone is rapidly becoming the the primary computing device, even for the minority of people with access to traditional PCs. Here’s the cool thing: In the mobile era, there will be an order of magnitude more people making music, as long as someone creates the right tools for them. Performance has historically been a limiting factor for developing really good mobile apps for music creation, but with the latest devices it’s no longer an issue. The real challenge now is to design interfaces that make it possible to produce real music on a small touchscreen. That’s the problem we’re solving at Auxy. 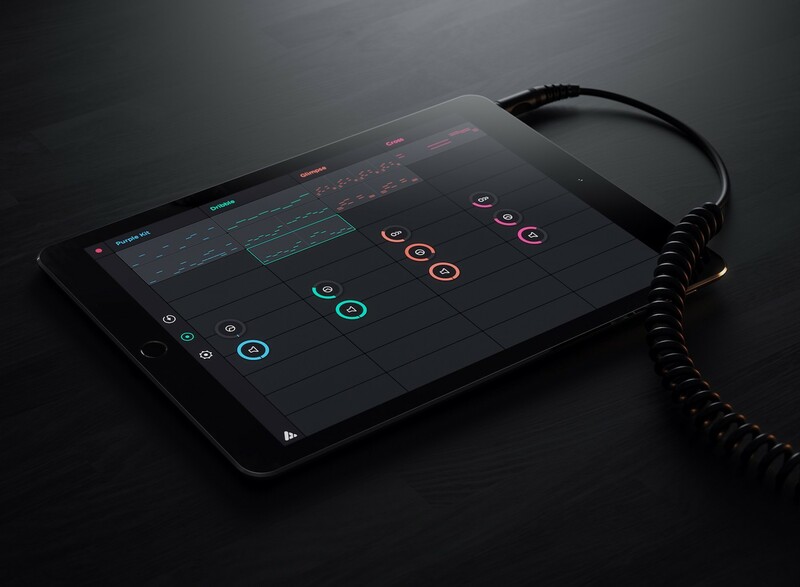 We’re excited about the potential for mobile apps to open up music production to a lot more people. Empowering people from all parts of the world — regardless of gender, age, culture, and geography — with digital tools will be a defining factor in pushing music forward as an artform. About two years ago, we started Auxy with a vision to get significantly more people to make music and build the best instruments for mobile creators. Our core belief is that music software is stuck with an old paradigm that makes it very complicated to produce music and limits digital music creation to people with a deep technical knowledge. We set out to build something different and about a year ago we launched Auxy for iPad. Our goal was to design a touch interface that’s less complicated and quicker to work with, and thus makes the user more creative. To get the app out quickly, we built a really simple sound engine and spent most of our efforts on getting the interface right. Our assumption about the need for a better interface proved to be right. People love Auxy and today it’s the highest rated music creation app on iOS with a 5 star average. The most encouraging feedback comes from users who thought they’d never be able to make electronic music and now it’s their favorite thing to do. This fall we’ve been working hard on bringing Auxy to iPhone. Initially we worried that it would be hard to design a great experience for the smaller screen, but in the end it turned out even better than we’d hoped for. The limitations forced us to rethink some key interactions. For instance, we’ve been able to avoid landscape orientation by letting time flow from top to bottom when editing notes. In the end, the changes have resulted in a better overall experience than in the iPad version. This time we’ve also invested a lot in making the app sound as good as it looks. We’ve built a new sound engine and integrated state-of-the-art signal processing from Sonic Charge and FXpansion — two of the leaders in digital audio effects. We’ve also worked closely with the producer 7 Skies who has designed all the sounds. As a result, we’ve been able to push the sound to a new level for being a mobile app. Building the iPhone version has helped us clarify our mission: to provide the best tools for mobile creators and make it possible to produce real music just using phones. The way to get there isn’t by replicating the features you find in today’s desktop apps. The key is to find smart ways to help users make better sounding music, be more creative, and get the full advantage of the underlying technology without having to manage all aspects of it. 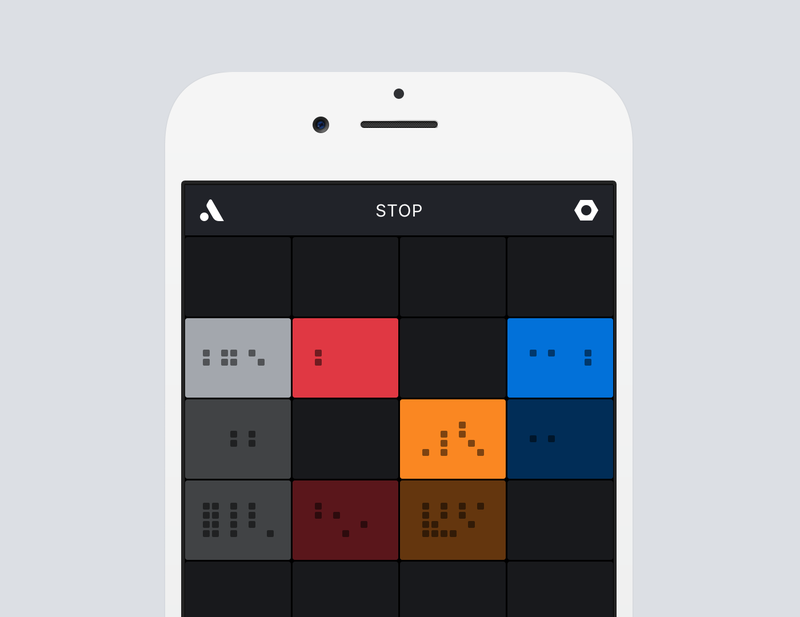 Auxy for iPhone is available on the App Store.